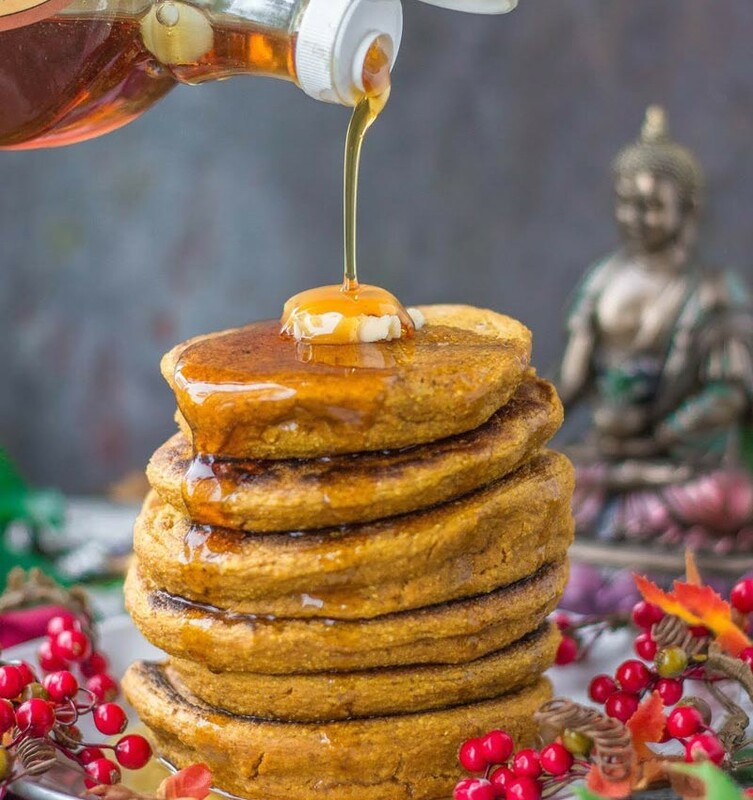 This recipe is featured in the '40 Vegan Pancake Recipes' book by Connor Haris. In a large bowl, combine the non-dairy milk, pumpkin puree, and oil. In another large bowl, stir the flour, brown sugar, baking powder, pumpkin spice mix, and salt until well blended. While stirring, slowly add the flour mixture into the pumpkin mixture until blended; try not to overmix the batter. As soon as you see large clumps of flour disappear, stop stirring. Add about a ¼ cup of batter for one pancake onto the griddle. Brown on both sides and serve hot with warm maple syrup and vegan butter. For an interview with Connor, click here. To win a copy of Connor's book, enter the competition here.